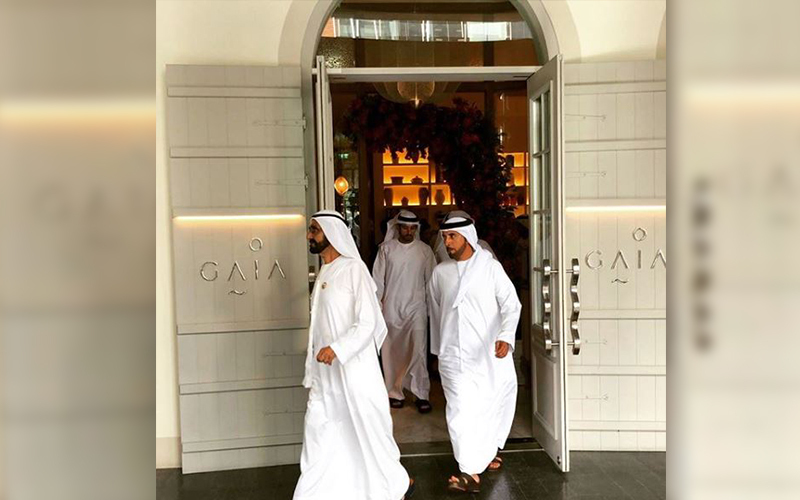 It’s not uncommon to see the UAE royals trying out F&B hotspots, so it may not come as a shock to hear that HH Sheikh Mohammed bin Rashid Al Maktoum was been spotted at the newly opened GAIA in DIFC this week. The vice president and ruler of Dubai was pictured leaving the restaurant after enjoying lunch at the Greek eatery, and was joined by Sheikh Hamdan among others. The Crown Prince has already given the restaurant the royal seal of approval following its opening in November, and was snapped with chef Izu Ani – the man behind GAIA, in addition to other outlets in Dubai. GAIA is a collaboration between chef Izu and Bulldozer Group – the hospitality company behind venues including Scalini, Cipriani and Base Dubai. If you’re interested in visiting GAIA, read our review here. Details: To book, please call 04-2414242 or visit gaia-dubai.com. Next PostNext &RightArrow; Quick, Nando’s Al Ain Casa is giving away free meals!